An internship has been launched in memory of Len Tingle, BBC Yorkshire's former political editor. Tingle, from Cudworth near Barnsley, began his journalism career in 1981 and had been political editor for 17 years when he died of cancer in 2018 at the age of 63. The placement is open to students at seven Yorkshire universities that run a journalism degree. His widow Angela Tingle said journalism had been "a passion not a job". Tingle, who lived in the Huddersfield area for many years, was interested in journalism, Yorkshire and giving opportunities to young people from diverse backgrounds. The successful applicant will work in radio, television and online services while being mentored by BBC journalists. The seven universities are Huddersfield, Leeds Beckett, Leeds Trinity, Leeds, Sheffield Hallam, Sheffield and York St John. Mrs Tingle said: "Len had talked about training young journalists when he retired; for him journalism was a passion not a job." "This is a way for his dedication to the industry and desire to help others to carry on in his name." 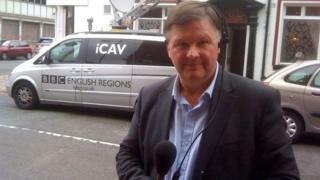 Tim Smith, head of BBC Yorkshire and Lincolnshire, said: "Len would have been delighted to have this placement set up." Applicants should have an interest in regional politics. The deadline for submissions is 15 March.